It seems that most significant (and a great many minor) horror films have by now been released on DVD. Even more titles are available on VHS, if only as used copies. Yet a few stragglers remain. Horror films that one has read of, but never seen. This Spanish film was released in 1973. The Internet Movie Database says that it also has an Italian title: La morte incerta. But the IMDb lists no English title. Perhaps the film was never released in an English-speaking country? My favorite online translator translates the Spanish tile as The Uncertain Death, the Italian title as Death Uncertain. Certainly, La muerte incierta is an obscurity. I've never met a horror fan who's ever heard of it, though it's been talked about online. As best I know, the film was never released on home video in any format. 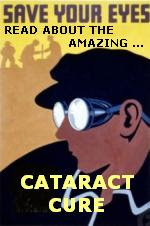 It might not ever have had an American theatrical release. Even so, La muerte incierta is not without a respectable pedigree. The film was directed by José Ramón Larraz, who is perhaps best known to horror fans for Vampyres (1975). 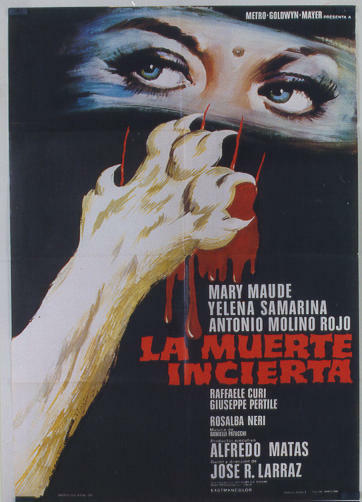 It also features actress Rosalba Neri (The Devil's Wedding Night). But I'm most interested in La muerte incierta because it features my favorite obscure British horror actress: Mary Maude. The House That Screamed (aka, La residencia). Maude told Filmfax No. 75-76 that she considers her work in the film only half a performance, because her voice was dubbed by another English actress. Maude was working on another project at the time of dubbing, and thus was unavailable. Maude's only other starring role in a horror film was in the oddball Crucible of Terror, though she also had a bit part in Terror (British 1978). As you can see, Maude's body of work in horror is small. Which makes me all the more curious to see La muerte incierta. 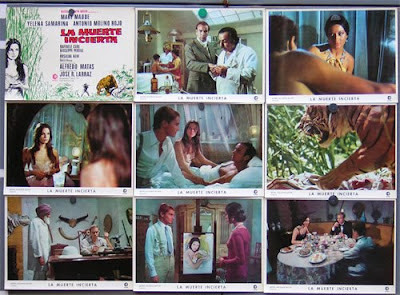 Considering that La muerte incierta involves José Ramón Larraz, Rosalba Neri, and Mary Maude, I think there's a decent-sized market for it, should any DVD distributor be paying attention. Of course, there's always the grim possibility that the film is truly lost. All copies trashed or burned or destroyed beyond repair. All that remains are some posters and lobby cards, and a trailer. Hints of what might once have been. 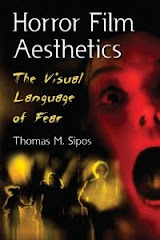 For more about obscure, "must see" horror films, see Horror Film Aesthetics: Creating the Visual Language of Fear. This blog represents a continuing discussion of my views on horror, picking up from where the book left off.